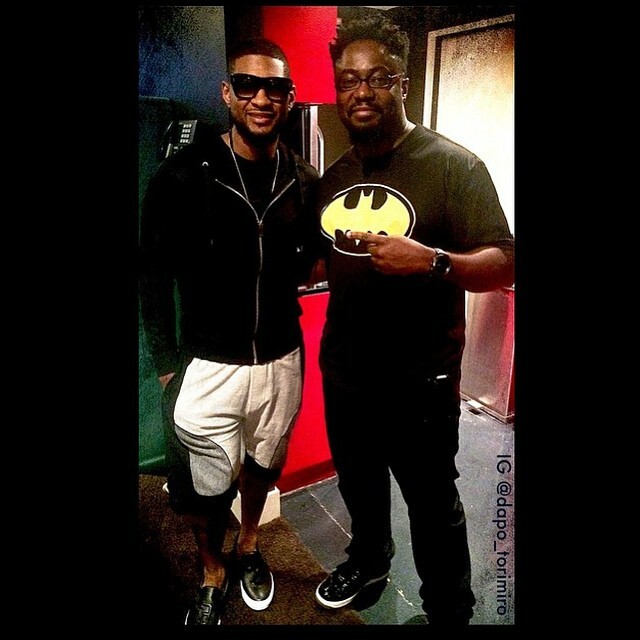 Usher hits the studio with Dapo Torimiro for new album? Usher has recorded new material with Dapo Torimiro. It is yet to be known whether the session was intended for Usher’s upcoming eighth album under Sony Music Entertainment imprint RCA Records. Torimiro recently co-wrote and produced “1996” for Ella Henderson. The track appears on the British singer/songwriter’s debut album, “Chapter One,” now available for download via iTunes in partnership with Syco Music. Other notable songwriting and production duties by Torimiro include Little Mix’s “Always Be Together” [Columbia Records], Toni Braxton’s “Woman” [Atlantic Records] and Jordin Sparks’ “No Parade” [19 Recordings]. Meanwhile, Usher is scheduled to release his next studio collection and follow-up to 2012’s “Looking 4 Myself” later this year. Current single “I Don’t Mind” was helmed by Rock City (Ciara, Nicki Minaj), Dr. Luke (Rihanna, Katy Perry) and Cirkut (Miley Cyrus, Britney Spears). The highly-anticipated LP boasts further alliances with Da Internz (John Legend, Christina Aguilera), RoccStarr (Fergie, Jennifer Hudson), Mike WiLL Made It (Tinashe, Kelly Rowland) and Max Martin (Kelis, Taylor Swift).